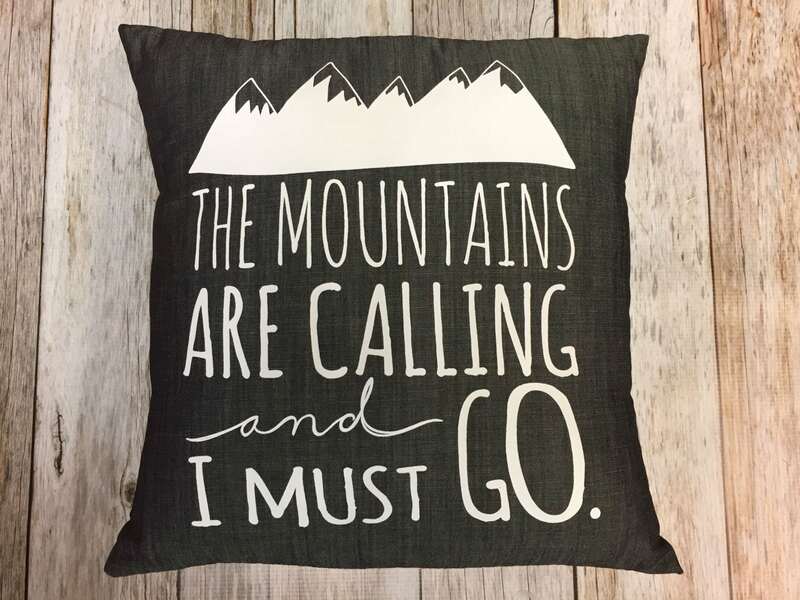 Grey Denim 14" Pillow Cover with silk screen "The Mountains Are Calling and I Must Go". Envelope closure for easy cleaning. Machine wash. Air dry and press back only. Do not press front. 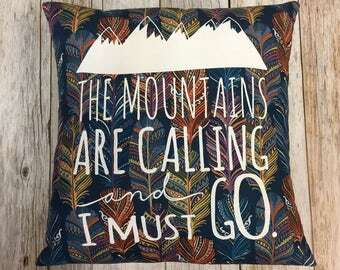 Denim 14" Pillow Cover : "The Mountains Are Calling and I Must Go"
Denim 14" Pillow "The Mountains Are Calling and I Must Go"
beautiful dress. 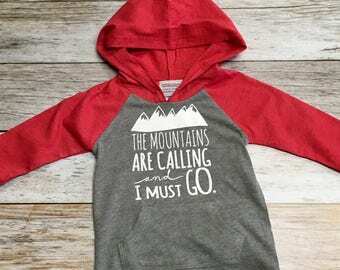 My daughter has already worn it twice! love it! great hat, just what i wanted to remember my trip, better than any hats that I found there! We accept paypal, e-checks, or credit cards. We can only offer exchanges at this time. You must contact us within 1 week of recieving the item to let us know it will not work. 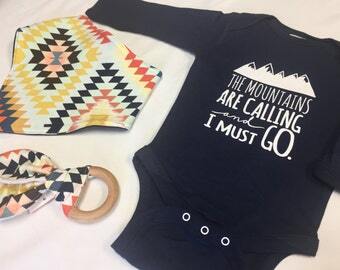 Unfortunately, we cannot offer exchanges or returns on holiday themed clothing. Thanks for understanding. 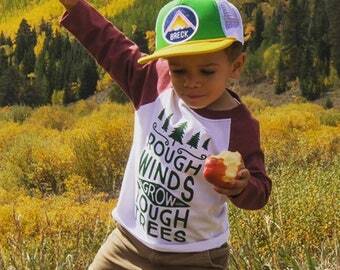 Shipping is done us mail unless you convo for a priority rate. Due to an ongoing labour dispute, Canada Post has informed us that it may halt acceptance of new shipments and delivery of mail and parcels beginning on July 2nd. At this time, all shipments to, within, and from Canada that are handled by Canada Post will be affected until the dispute is resolved. This includes shipments into Canada from other national carriers like USPS and Royal Mail. To learn more please see the Forums post. Placement of certain fabrics cannot be guaranteed. ADVENTURE Throw Pillow in Mustard with Grey Denim Backing 12X16"